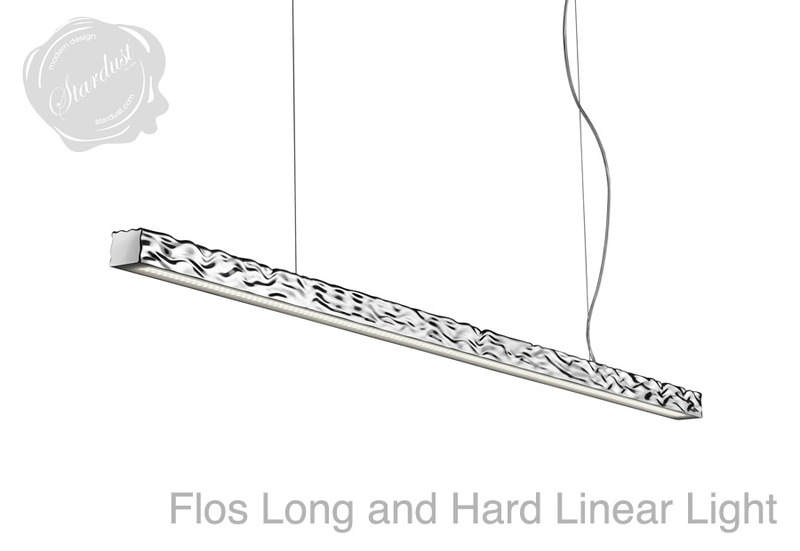 A beautiful extra long linear suspension lamp. 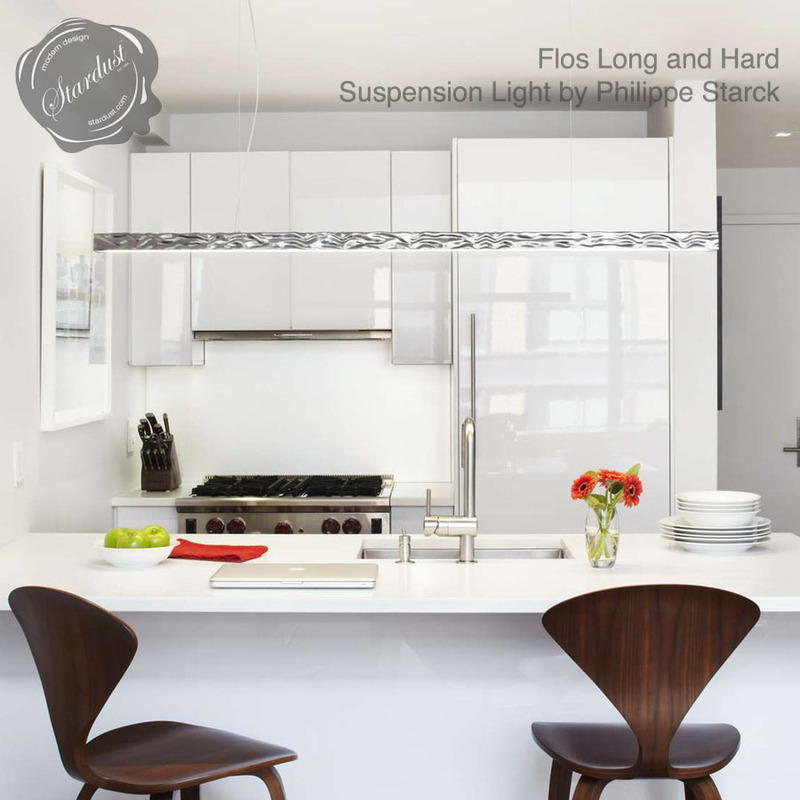 Flos Long and Hard Suspension Light from Stardust. 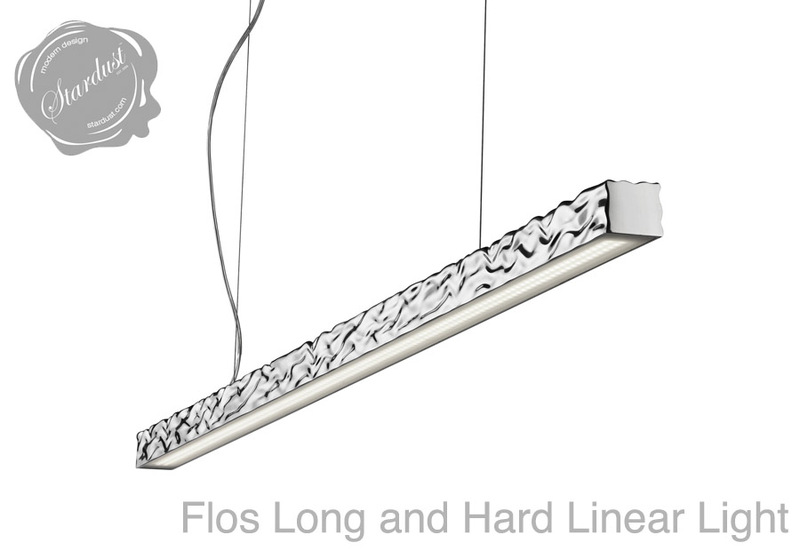 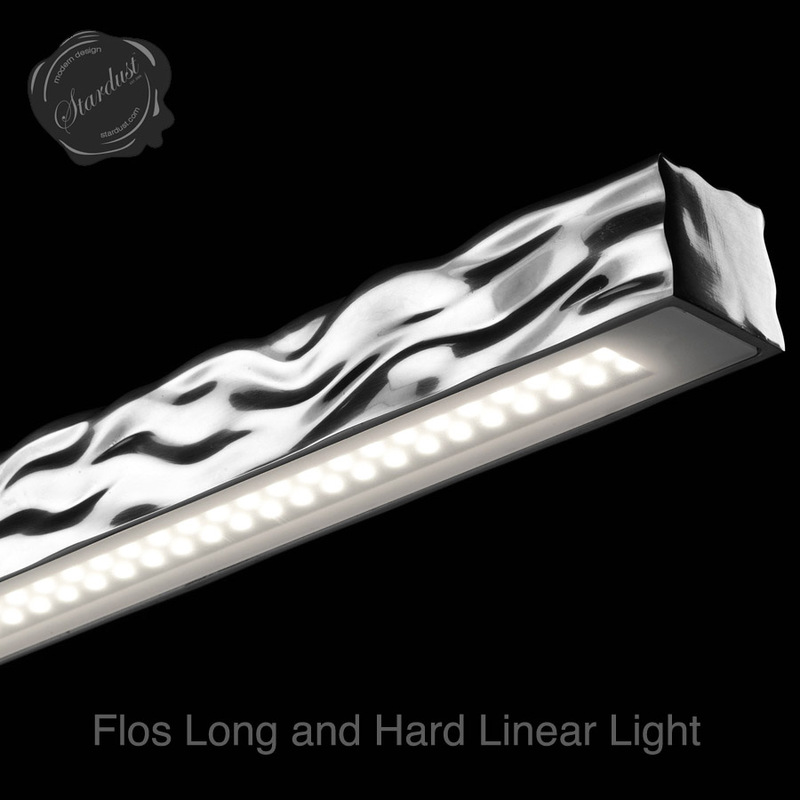 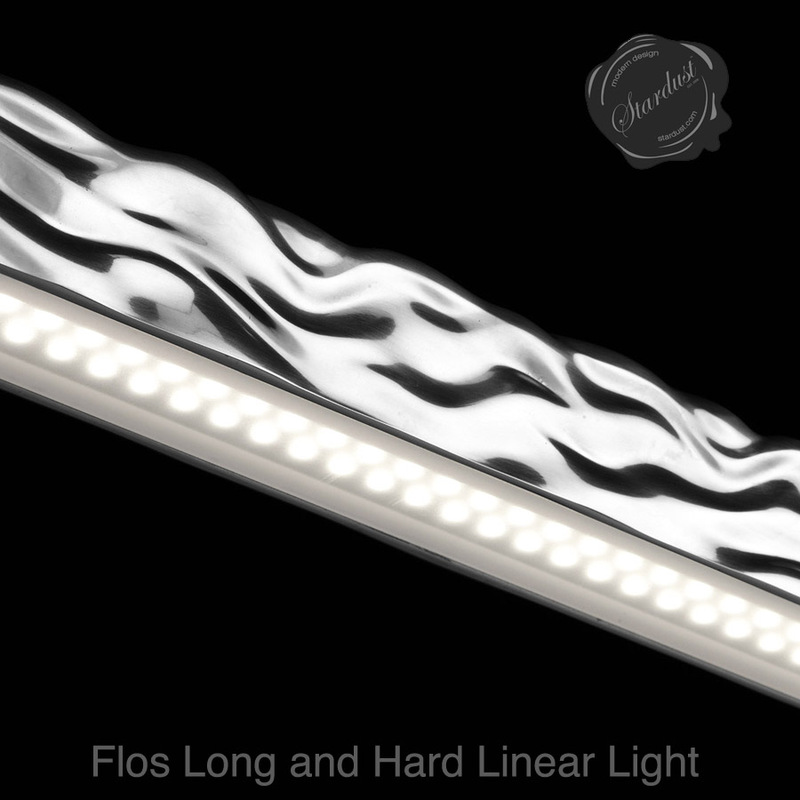 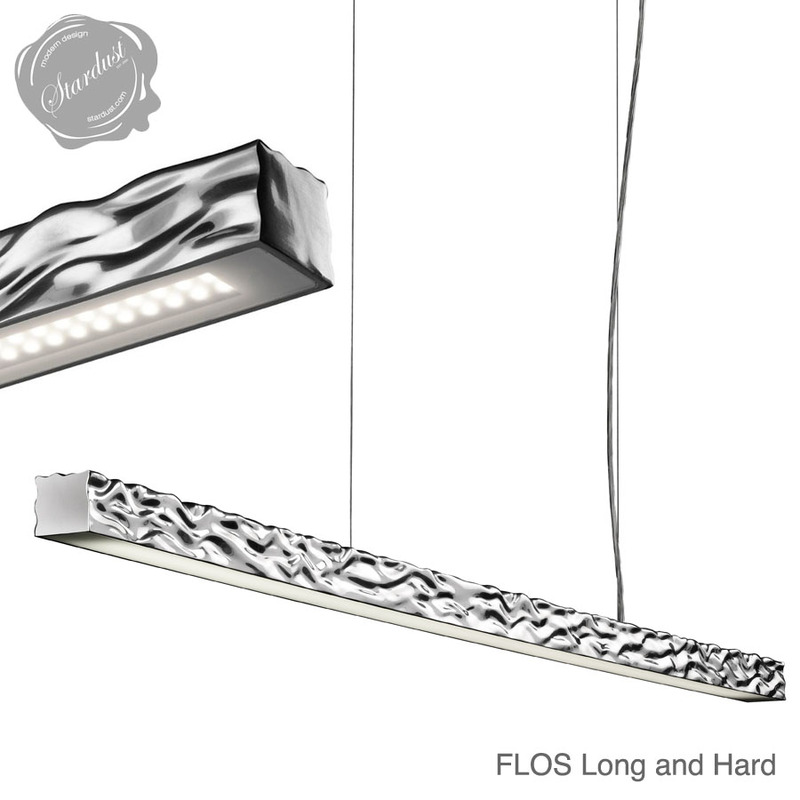 FLOS Long and Hard Suspension Light - Long Linear Lighting. 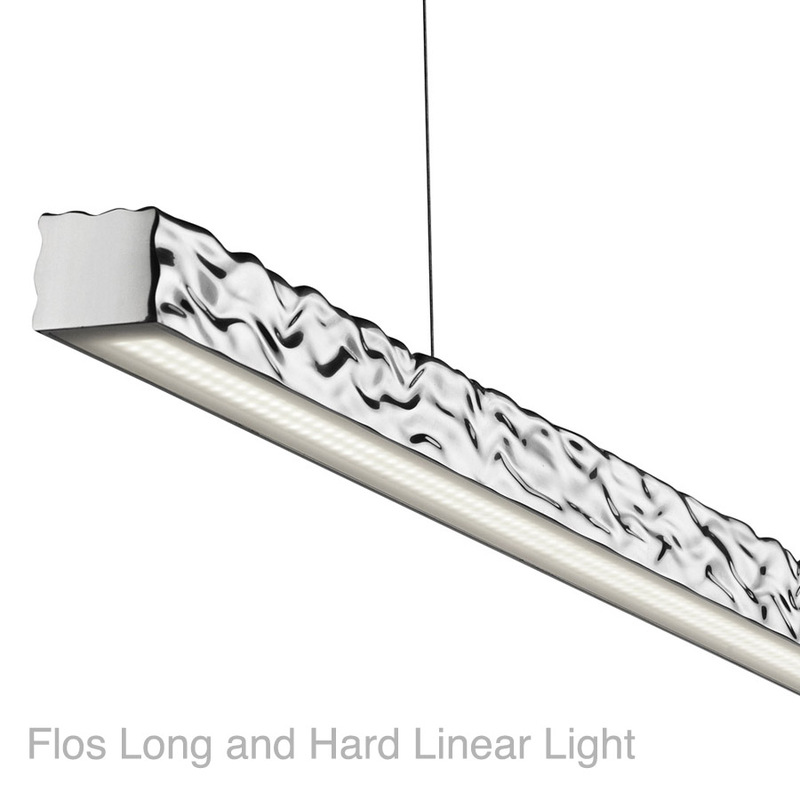 The extravagant Long & Hard suspension lamp was designed by Philippe Starck for the manufacturer Flos. 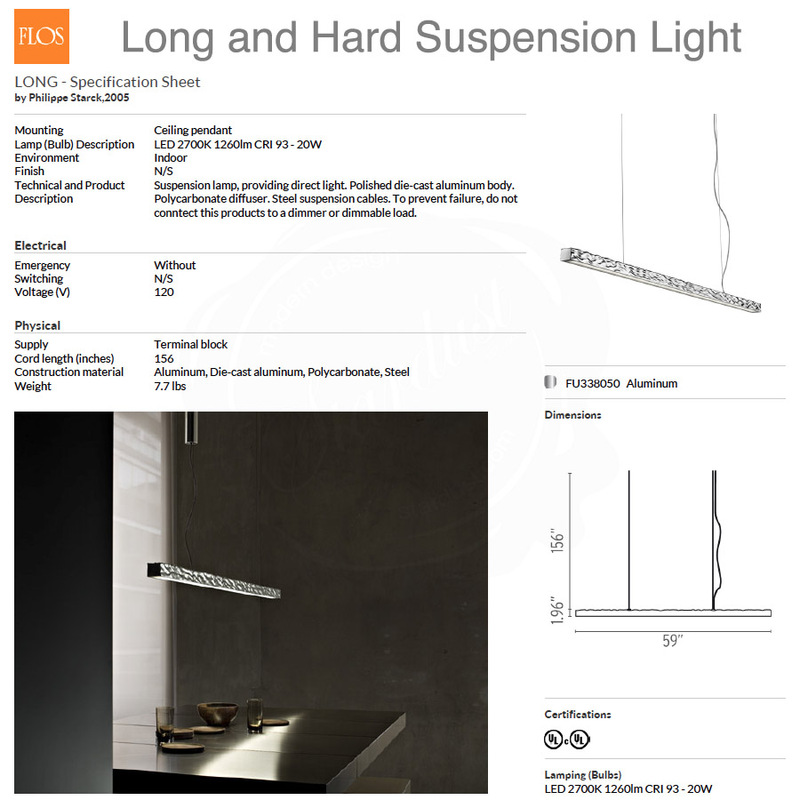 Equipped with a delicate shape and the newest LED technology the Long & Hard Suspension Light creates comfortable direct lighting and a cozy atmosphere. 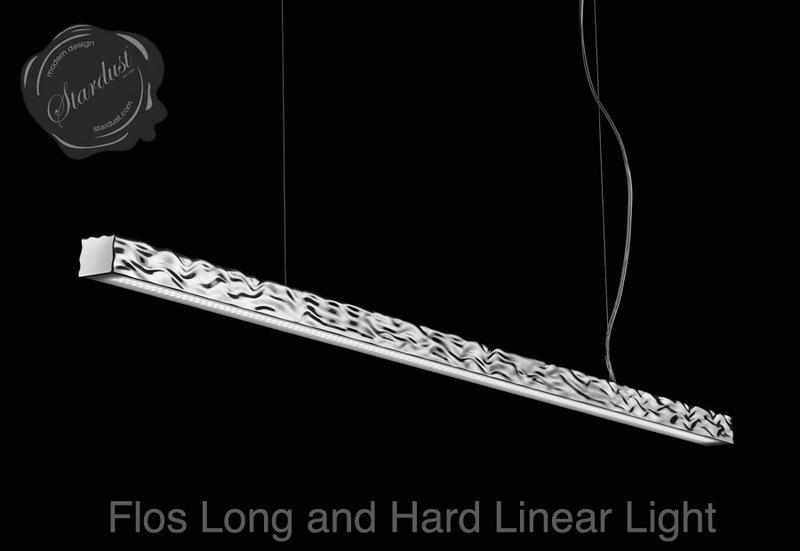 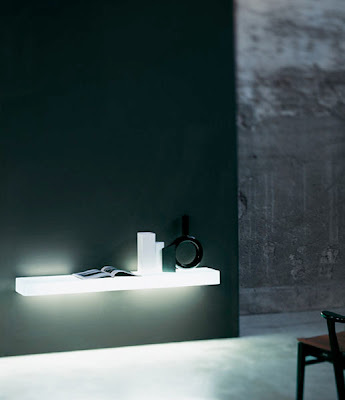 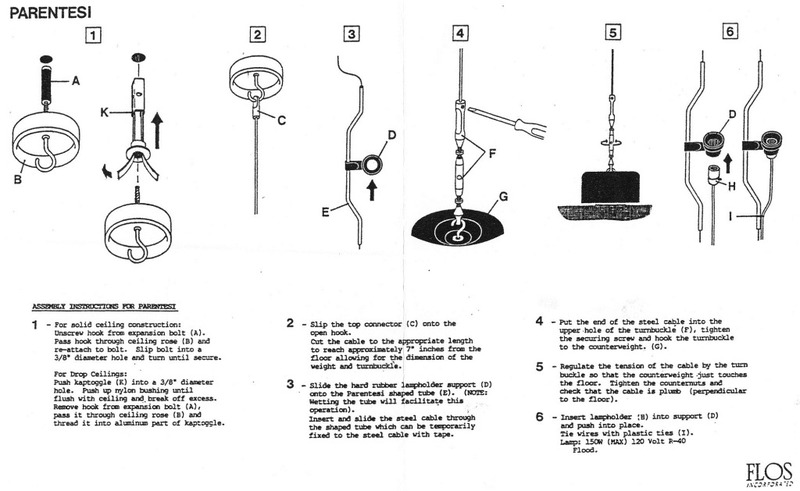 The Long & Hard lamp is a beautiful eye-catcher and wonderfully combines tradition and modernity. 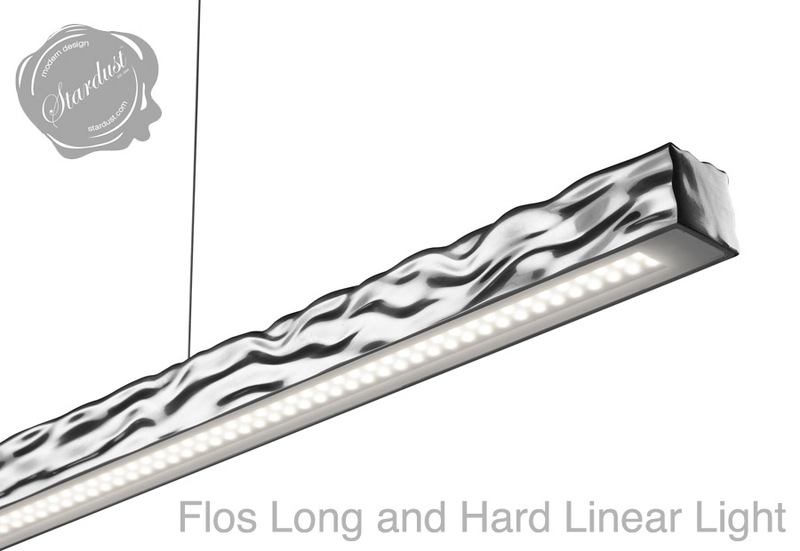 The Long & Hard design lamp ideally suits every style-conscious dining room, restaurant or bar. 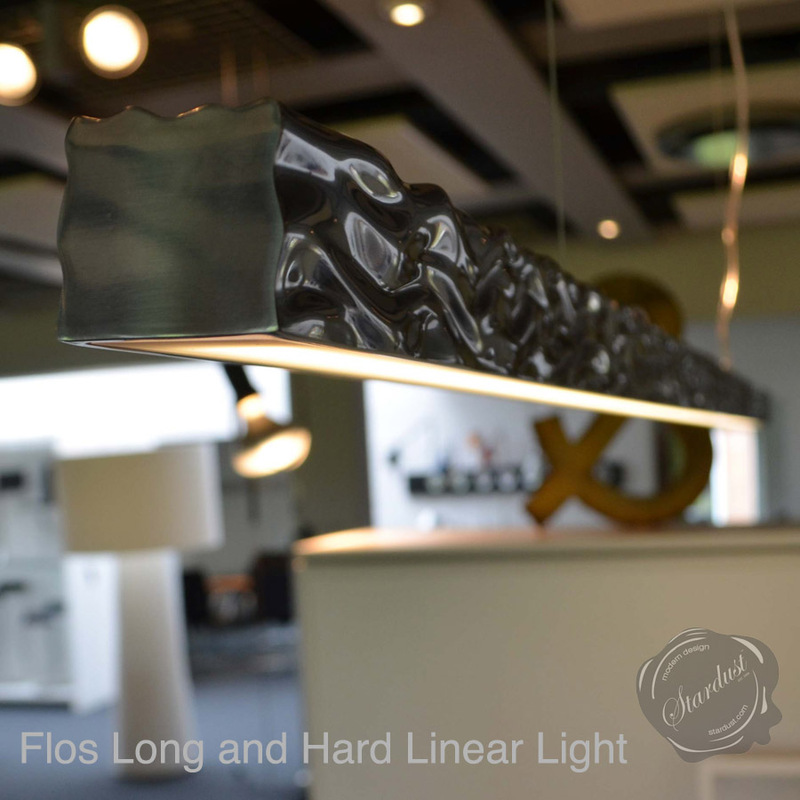 The lamp body of the Long&Hard Suspension Lamp is made of polished die-cast aluminium, the steel wire suspension's length is about 13 feet. 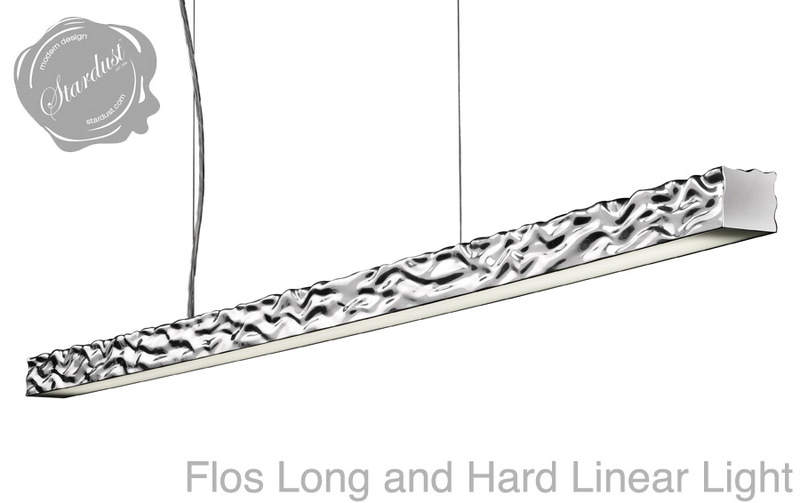 FLOS Long & Hard Pendant Light on Stardust, Pendant Lights Designed by Philippe Starck for Flos Long & Hard is a fine, linear suspension light.